US Sec. 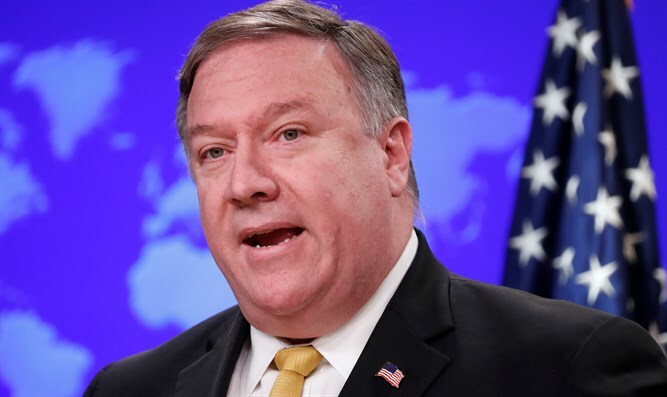 of State Mike Pompeo ‘certainly believes’ Pres. Trump may have been sent by G-d to ‘help save the Jewish people’ from Iran. US Secretary of State Mike Pompeo suggested that President Donald Trump may have been sent by God to protect Israel. Pompeo was in Jerusalem, where he accompanied Israeli Prime Minister Binyamin Netanyahu to the Western Wall. The secretary also said that the Trump administration’s peace plan for Israel and the Palestinian Authority doesn’t sacrifice “core principles” of any religion. The plan is expected to be unveiled after Israel's April 9 elections.